The Karta has absolute power to contract debts for the ordinary purpose of family business. Such debt must however have been incurred in the ordinary course of the business. Even in case of those HUFs where no business is being carried upon, the debts incurred by the Karta are binding on the HUF provided they have been incurred bona fide and for the benefit of the family. Artide 240(2) of Mulla’s Hindu law says that the Karta has implied authority to borrow money for family purposes. Further when the Karta of a Hindu Undivided family borrows money or signs a promissory note for the purpose of borrowing money for the benefit of family, the other members of the Hindu Undivided family may be sued on the note itself even if they are not the parties. However, in such cases of suit, the members are liable only to the extent of their share in the joint family property as against the Karta who is personally liable on the promissory note. 2. He can invest the money of HUF. The Karta has absolute to invest the money and funds belonging to HUF in such manner as he may deem fit provided it is done in ordinary course in good faith and for the benefit of the family. The Karta has the power to enter into any agreement or contract on behalf of the family and such contracts/agreements ar binding on the HUF. This power effectively means that the Karta has the right to compromise any dispute on relating to the family provided the power is exercised in a bonafide manner to the utmost benefit of the whole family. The Karta of HUF has the power/right to receive the entire income accruing to the family from whatsoever sources. The members of the family who collect income on behalf of the family must handover the same to the Karta to be kept and managed by the Karta for the benefit of the family. 5. He has the right to represent the HUF. The Karta of the joint Hindu family has a right to represent the family in all legal, religious, social and other matters on behalf of the family. As far as buying of properties is concerned, the Karta has absolute power to do so provided it is in the interest of the family. However, selling a property involves alienation of the joint family property and such a power must be exercised with the consent of all the coparceners and Karta has no absolute power to do so. However, in certain circumstances involving legal necessity or for meeting religious obligations, the Karta is authorized/empowered to exercise the power relating to alienation of the property. In such cases, it must be shown that the circumstances existed so as to necessitate the alienation without concurrence of all other coparceners. 7. He can gift any property belonging to the HUF. This power of alienation by way of gift also must be exercised with the concurrence of all the coparceners except under certain circumstances of legal necessity, religious obligations as discussed hereinabove. 8. He can make admission on behalf of HUF. 9. He can receive remuneration from the HUF for kartaship. In the case of Jugal Kishore Baldeo Sahai v. CIT. (1967) 1 SCR 416 63 ITR 238 ]the Apex Court held that if a remuneration is paid to the karta of the family under a valid agreement which is bonafide and in the interest of, and expedient for, the busjness of the family and the payment is genuine and not excessive, such remuneration must be held to be an expenditure laid out wholly and exclusively for the purpose of the business of the family and must be allowed as an expenditure under Section 10(2)(xv) of the Act. 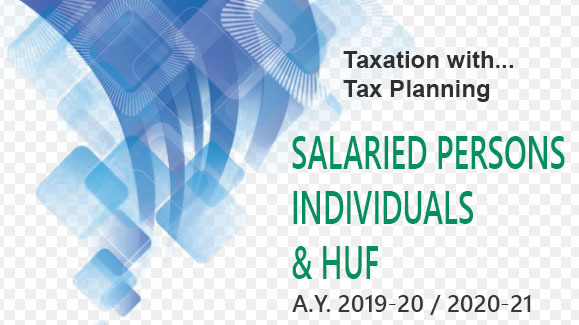 Thus, Karta can receive remuneration from the HUF which can be a deductible expenditure u/s 37 of the Income-tax Act, 1961. 10. He has power to alienate ancestral property. In the case of Laxmappa v. Balawa Kom Tirkappa Chavdi (Smt), (1996) 5 SCC 458 [AIR 1996 sc 34971 it was held that a Hindu father is bound to maintain his unmarried daughters, and on the death of the father, they are entitled to be maintained out of his estate. The position of the married daughter is somewhat different. ‘It is acknowledged that if the daughter is unable to obtain maintenance from her husband, or, after his death, from his family, her father, if he has got separate property of his own, is under a moral, though not a legal, obligation to maintain her. The High Court has concluded that it was clear that the father was under an obligation to maintain the plaintiff-respondent. Seemingly, the High Court in doing so was conscious of th declaration made in the gift deed in which she was described as a destitute and unable to maintain herself. In that way, the father may not have had a legal obligation to maintain her but all the same there existed a moral obligation. And if in acknowledgment of that moral obligation the father had transferred property to his daughter then it is an obligation well- fructified. In other words, a moral obligation even though not enforceable under the law, would by acknowledgment, bring it to the level of a legal obligation, for it would be perfectly legitimate for the father to treat himself obliged out of love and affection to maintain his destitute daughter, even impinging to a reasonable extent on his ancestral property. It is duly acknowledged in Hindu law that the Karta of the lamily has in some circumstances, power to alienate ancestral property to meet an obligation of the kind. The, list given above is not exhaustive and the Karta has very wide powers in relation to the HUF. The only condition in exercise of the powers is that the powers must be exercised bonafide and for the purposes of family. The family purpose ordinarily constitutes maintenance, education, marriage, shraddha and other pious obligations of the family. While dealing with Powers of Karta, the Apex Court in the case of Sarda Prasad vs Jumna Prasad, (1961) 3 SCR 875 (AIR 1961 SC 1074] held that Under the Hindu law the Karta of a Hindu joint family represents all the members of the family and has the power and duty to take action which binds the family in connection with all matters of management of the family property. However, it is important to note that in relation to the exercise of the powers as above, the Karta must prove that the powers were exercised neutrally and for the benefit of the HUF.